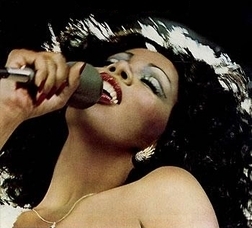 On May 17th, the famous disco singer Donna Summer sadly passed away in her home in Florida at the age of 63. According to Pitchfork, Summer had been battling cancer for a while, and it finally got the best of her. Despite her illness, Summer was reportedly recording a new album up until her death. Raised in a devout Christian family in Boston, Summer, born LaDonna Andrea Gaines, transitioned from her church choir into Motown-inspired bands, psychedelic rock bands, and even musicals. But she is most famous for her singles “I Feel Love,” “Love to Love You Baby”, “Last Dance”, “Hot Stuff”, and “She Works Hard for the Money”. Summer won five Grammys and will always be known as one of the best female singers of the 70s. The disco queen will be sorely missed.